In addition to promoting paperless solutions and eliminating unnecessary printing, routing and storage of massive amounts of paper, IPS pledges to plant enough trees each year to offset our annual carbon dioxide emissions. IPS is a Global Cooling Business partner with Trees for the Future, a non-profit organization that plants trees in developing countries around the world. Since 1989, Trees for the Future has been helping communities around the world plant trees. Through seed distribution, agroforestry training, and their country programs, they have empowered rural groups to restore tree cover to their lands. Planting trees protects the environment and helps to preserve traditional livelihoods and cultures for generations. IPS is committed to improving human welfare by giving back to our cummunity. One of the ways we do this is through organizations like CoreMedia Systems Good Tidings Foundation. The Good Tidings Foundation, founded in 1995, is a children’s charity that looks to equally support ARTS, EDUCATION, ATHLETICS and DREAMS for youth from communities in need. 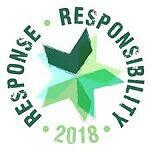 IPS was honored to sponsor ResponseResponsibility 2018, a benefit concert to support the Good Tidings Foundation at Gothan Hall, NYC.